The following FAQs provide information regarding the recent rise in credit and debit card fraud activity in our market areas, addresses the commitment TDECU has to its Members and offers tools and best practices to prevent fraud from happening to our Members. Has TDECU experienced a card data security breach? TDECU has not experienced a breach to our card data, and our security systems, which are in place to protect our Members’ card information, have not been compromised. Fraudulent activity has been attributed to card compromises at merchants and merchant processors. While the fraudulent activity is not a result of a breach at TDECU, protecting the assets of our Members remains our highest priority. We take these situations very seriously, and have a dedicated internal fraud team that uses world-class tools and systems to detect and prevent fraud, regardless of the source. Our monitoring of both debit card and credit card activity is completed in real-time and is conducted around the clock – every day of the year. In addition, our teams are working closely with our debit and credit card processors to ensure your hard- earned money is returned to your account(s) as quickly as possible. If there was no breach of TDECU card data and security systems, how did this fraud occur? Card fraud is on the rise at merchants, ATMs and gas pumps nationwide and happens when a merchant or merchant’s processor is impacted by a card compromise. When a card compromise event occurs, it happens at point-of-sale and merchant systems, and not at TDECU. 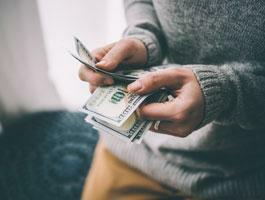 The recent spike in fraudulent activity is not unique to any one credit union or bank, and is taking place across the U.S. The spike is attributed to last minute attempts by criminals who know the more secure EMV chip-enabled technology rollout is nearing completion, and will make it more difficult for them to commit card fraud. Where are cards being compromised? Cards are compromised at merchants. Visa and MasterCard will not disclose to financial institutions where the fraud occurs, relying on merchant(s) to release information to the public when a compromise occurs. As good measure, we recommend that Members not only contact TDECU Member Care when fraudulent activity is suspected, but also reach out directly to any stores or businesses where the Member believes unauthorized purchases were made. Is TDECU re-issuing debit cards because of a breach? No, TDECU is not re-issuing debit cards because of a breach. TDECU has not experienced a breach to our card data. TDECU will continue to employ the highest levels of fraud prevention monitoring tools available to ensure the integrity of our Members’ accounts. 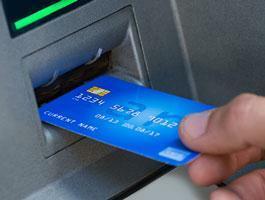 One of our latest fraud prevention monitoring tools is the EMV chip-enabled debit card. TDECU started issuing EMV chip-enabled debit cards to all active debit card holders on March 1, 2017, and will continue through November 2017 in waves based on expiration dates. A chip-enabled debit card features EMV technology, which is an embedded microchip that provides an extra layer of protection against fraud. EMV – which stands for Europay, Mastercard® and Visa® – is a global standard for cards equipped with computer chips and the technology used to authenticate chip-card transactions. When a chip-enabled card is used for payment, the chip and payment terminal work together to create a unique transaction code that cannot be used again. If someone were able to gain access to that and attempted to use the unique code for a subsequent purchase, the transaction would be denied. How does TDECU protect its Members from fraud? TDECU has a dedicated internal fraud team (Security and Investigations Department) that uses world-class tools and systems to detect and prevent fraud. Our monitoring of both debit card and credit card activity is completed in real-time and is conducted around the clock – every day of the year. To help protect against card fraud, TDECU issues EMV chip cards, the global standard in security, and our Security and Investigations Department works closely with both Visa, Inc., our debit card issuer, to research and identify card fraud. In addition, TDECU’s debit and credit card processors utilize Falcon Fraud Prevention Service software to help identify and reduce fraud risk by detecting potentially fraudulent PIN-based and signature-based debit transactions. Falcon Fraud Prevention Service monitors Member’s normal transaction behavior and scores transactions for potential fraud based on a variety of factors. The system then automatically contacts the Member to confirm or deny fraud via multiple contact methods. In order to provide the highest level of protection, it is very important your mobile phone number and email address be accurate and updated in our system. 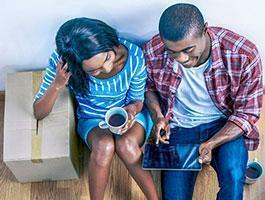 What should a Member do if they suspect fraudulent activity on their account? Immediately report the fraud to TDECU. Complete a Debit Card Fraud Affidavit form. Upon completion and submission of the form, the Member will receive a copy of the electronically signed debit card fraud affidavit via email. A TDECU representative will contact the Member within 10 business days to finalize their fraud claim. Report situations of consumer fraud to the Federal Trade Commission. 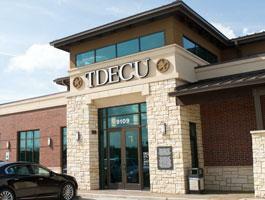 What tools does TDECU offer to help safeguard against fraud? Visa Purchase Alerts allow Members to monitor their card and receive alerts for transactions in real-time; to immediately detect potentially fraudulent activity. MasterCard® SecureCode is a code for Member’s TDECU MasterCard credit card that gives them an added layer of online shopping security. Once the Member has registered, each time they make an online purchase at a participating merchant, a window will appear asking for their SecureCode. This is similar to using a PIN at an ATM. It’s easy, secure and FREE. Customizable TDECU Online/Mobile Banking Alertsprovide alerts via text message, phone call, secure message or email when events occur on a Member’s account(s). Is there anything else Members can do to protect their card(s) from fraud? Yes. Read our Fraud Prevention Tips for more information.